Piramal Capital and Housing Finance Company has launched a new home loan scheme—Bridge. This scheme is a short-term home loan especially for customers who would like to purchase a new house without immediately selling their existing house. Hence, this product basically covers the funding gap between the purchase of the new house and sale of the existing house for homebuyers as closing a deal to sell-off old home may take some time. But does it really benefit you? A bridge loan is a loan that homebuyers take to buy a new house if they already have an existing house but have put it up for sale. Once the old house gets sold, the home buyer can use this money to pay back the full bridge loan. Bridge home loan can be applied for a brand new home or a re-sale one. The tenure of the loan is two years for readily available property and five years for an under-construction property. The key here is that the home buyer must already have an existing house with herself, which she wishes to sell to fund the purchase of the new house. A bridge loan is a temporary stop-gap arrangement to help the buyer buy that dream home pending the sale of the existing one. Let’s take an example. The home buyer is presently staying in 2-bedroom-hall-kitchen (BHK) flat in Mumbai. Now, she wants to move to a bigger house—a 3-BHK flat. The market value of this new flat is Rs 30 lakh. If the home buyer cannot sell her current flat in time, but still wants to buy the new flat, she takes a bridge loan. Piramal Capital will value the old property and decide the amount of loan that the buyer can get. Say, it values the property at Rs 25 lakh and decides to give a loan of, say, Rs.22.5 lakh to her. The housing loan scheme gives two years to her to sell old flat and repay the bridge loan from sales proceeds of that old 2 BHK flat. Assuming, the home owner can garner Rs 25 lakh from the sale of the old flat, she can then use the proceeds to pay off and close the bridge loan. Bridge loan allows a customer to buy a house without waiting for buyers for the old house. Piramal Capital’s bridge loan is devised in such a way that the equated monthly instalments (EMI) are lower than a conventional home loan as the EMIs only contain the interest component. The principal amount is bunched up towards the loan’s tenure to give the home buyer enough time to sell the house and generate cash. If by the end of the loan term the buyer hasn’t yet been able to sell her old house and fails to close the bridge loan, she then needs to switch to a normal home loan from Piramal Capital and continue paying the EMIs, albeit under the new loan scheme. Or, if she can arrange cash from anywhere else and close the bridge loan. If she forecloses the bridge loan, there are no additional charges. “Most importantly, a bridge home loan gives a homebuyer a breathing space. 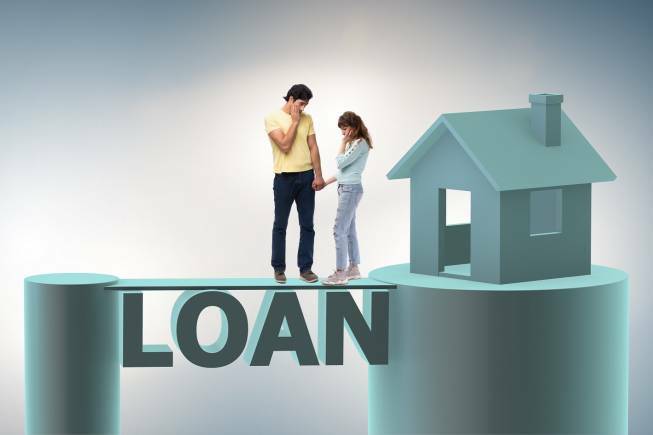 Once you have a cushion of a bridge loan, you can wait for some time to get the best deal for your existing house,” said Deepesh Raghaw, SEBI registered investment adviser and founder of PersonalFinancePlan. According to terms and conditions of Piramal Capital’s bridge home loan scheme, if a customer cannot repay the bridge loan in time, she has to then switch the loan amount to normal housing loan from Piramal Capital or any other financial institution. As the real estate market has not picked up momentum and demand post demonetisation, housing finance companies, banks and non-banking financial company (NBFCs) are finding alternate options around financing for home loan schemes. So, financial institutions are churning out new home loan products to get more clients and marketing such schemes. However, not all schemes are beneficial for borrowers. “Such home loan schemes are like a hook to catch a new loan customers,” said Sukanya Kumar, Founder & Director of home loan advisory firm, RetailLending.com. If, in the above case, the home buyer took a bridge loan of Rs 22.5 lakh and assume the rate of interest is 10 percent per annum. After completing a year, she ends up selling her existing 2 BHK flat for Rs 20 lakh instead of the expected market price of Rs 25 lakh. Apart from paying interest (Rs 2.25 lakh each for two years) and principal amount (Rs 22.5 lakh), she also has to pay an additional amount of Rs.2.5 lakh (Rs 22.5 lakh of loan amount, less Rs 20 lakh of sale proceeds of old house) to bridge the gap. Besides this, there are additional costs involved in bridge home loan scheme, like any other loan, which includes processing fees, valuation and other ancillary charges. In case you opt to continue with non-banking finance company or switch to any other financial institution there is a risk of higher interest rate. With non-banking finance companies being impacted due to the ongoing liquidity crisis and borrowing money from central bank at higher rates, high interests on home loans disbursed is a possibility. Furthermore, Piramal Capital states there will be tax benefits available on bridge home loan scheme. However, experts are of the opinion it will be difficult to avail tax benefits on this scheme. Also, the bridge home loan scheme pushes you to aspire bigger home beyond your means with easy loan facility. Based on the current market value of the house if you aspire for an expensive house. The plan may be a fiasco if you don’t realise adequate value in future from old home after selling. Piramal Capital lays out easy money to borrow your dream house. It is an option available in the market and it’s absolutely your (customer’s) discretion to avail this offering. However, with this finance scheme you may end up buying a home bigger than your means. A bridge loan may just meet your funding gap. But if yours old property is not sold during the tenure of the loan, then you may have to end up switching to regular home loan which can be expensive with fluctuating interest rate scenario. A better way is to plan your purchases in advance and take a loan only if think you can service it comfortably.